Very Good. 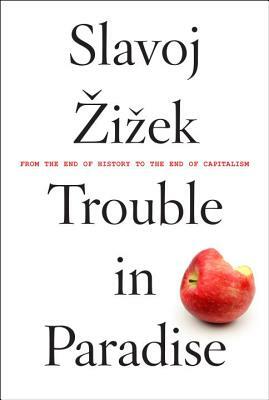 Setting out to diagnose the condition of global capitalism, the ideological constraints we are faced with in our lives, and the bleak future promised by this system, this book explores the possibilities-and the traps-of new emancipatory struggles. 288 p. Intended for professional and scholarly audience. Intended for college/higher education audience. Good. Setting out to diagnose the condition of global capitalism, the ideological constraints we are faced with in our lives, and the bleak future promised by this system, this book explores the possibilities-and the traps-of new emancipatory struggles. 288 p. Intended for professional and scholarly audience. Intended for college/higher education audience. New. Setting out to diagnose the condition of global capitalism, the ideological constraints we are faced with in our lives, and the bleak future promised by this system, this book explores the possibilities-and the traps-of new emancipatory struggles. Num Pages: 288 pages. BIC Classification: HPS; HPX; JPFC; KCA. Category: (G) General (US: Trade); (P) Professional & Vocational; (U) Tertiary Education (US: College). Dimension: 131 x 197 x 21. Weight in Grams: 214. 2015. Paperback.....We ship daily from our Bookshop.